Dawn’s Quilt Shop is located in historic downtown Alexandria, MN. 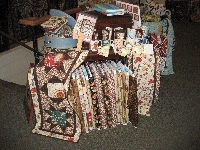 We specialize in Novelty Fabrics, great Quilt Kits and Quilt Patterns designed by Dawn and many other talented designers. We have everything you need to make beautiful quilts for yourself or to give away as gifts and can finish your quilts with our computerized Longarm Statler Stitcher Quilting Machines. Come in and have Fun with Us! Click on the thumbnails below to see current photos of the fun quilts we have hanging on the walls of the shop. Stop in to pick up one of the kits, or call if you have questions about something you see. 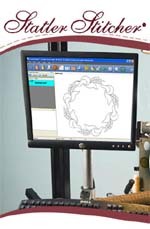 Computerized Longarm Quilting with the Gammill Statler Stitcher. Let us do your quilting for you. Drop your quilts off, or mail them in for us to quilt for you. Look through our selection of finished quilts for sale. They make great gifts for yourself, or others.